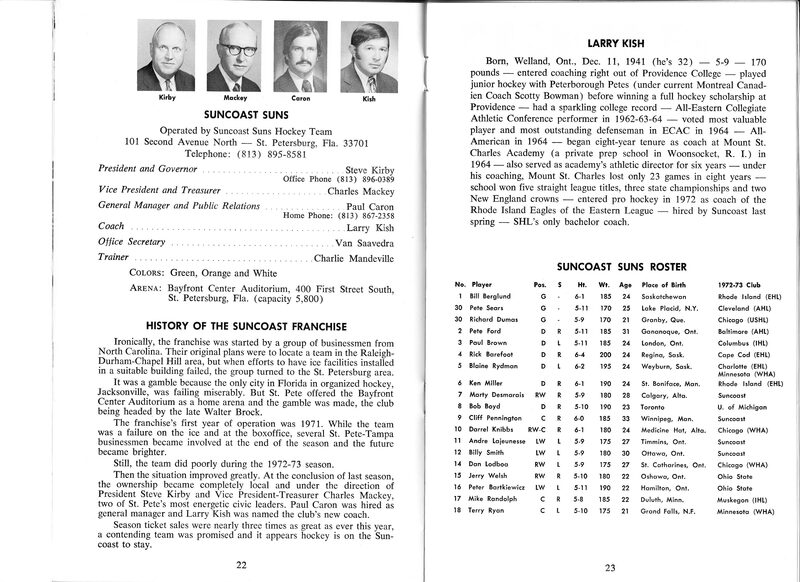 The Suns Photo Gallery will contain photos from various sources. 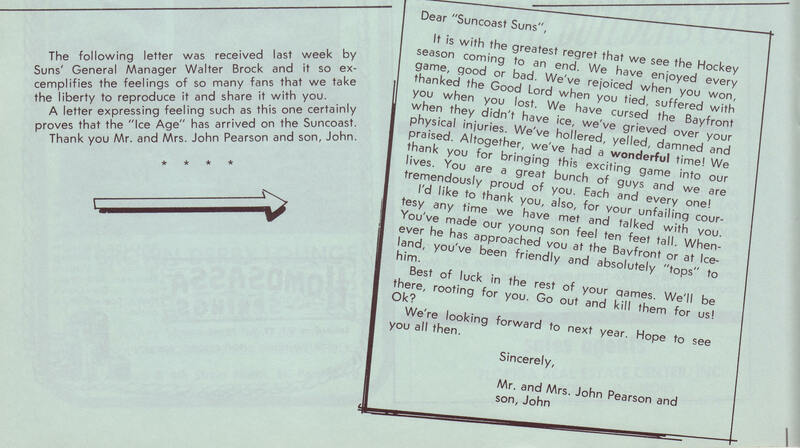 If you have any Suns photos you'd like to share please contact me and let me know what you have. To use the gallery click on the thumbnail image. It will download as a full page image at first then adjust so you can view it as a smaller image or enlarge it again. 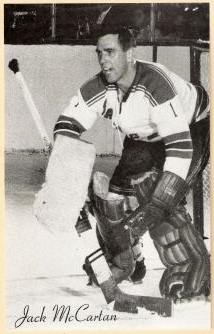 Here is a photo of Lloyd Hinchberger as Captain of the Nashville Dixie Flyers during his playing days in the EHL. 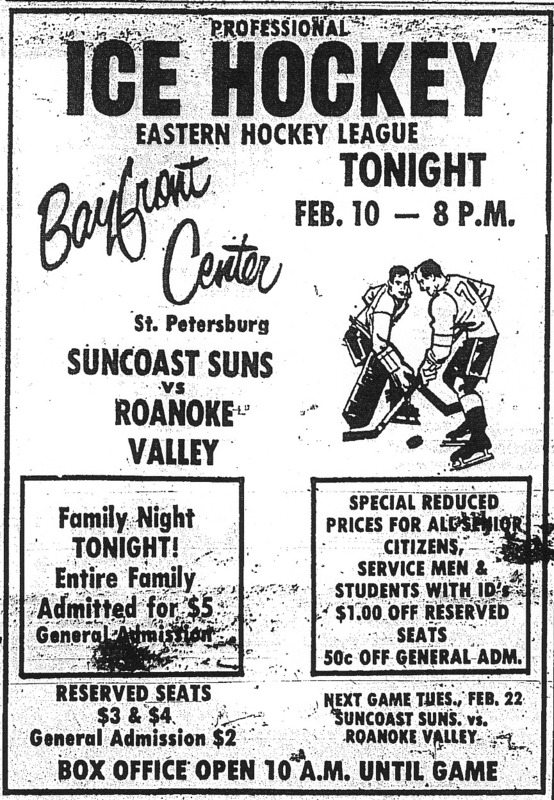 This photo is from about 1963-64. 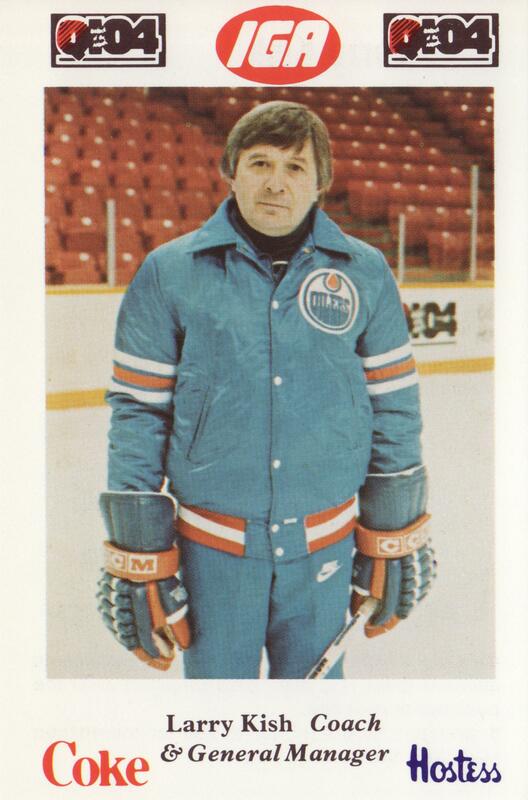 Shown here from a 1985-86 Nova Scotia Oilers card set. 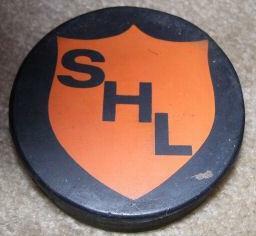 Larry was coach and general manager of the AHL team. 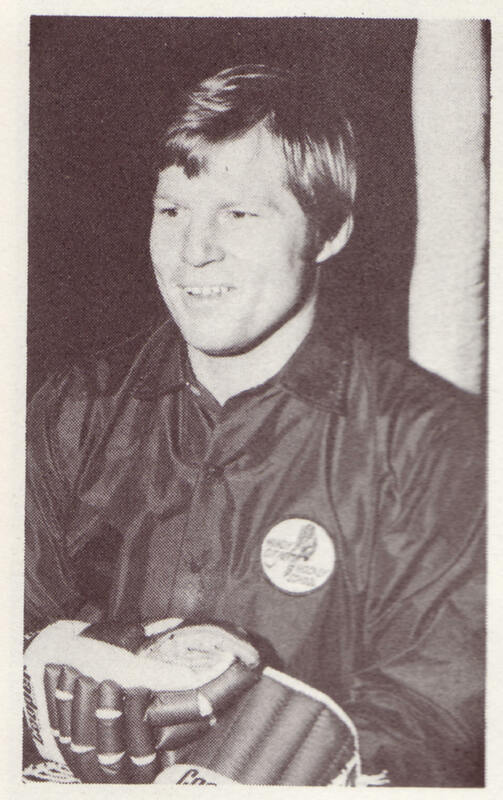 Dan shown from a '72-'73 game program had a whopping 120 penalty minutes that season to go along with 13 goals & 23 assists for 36 points in only 42 games played. 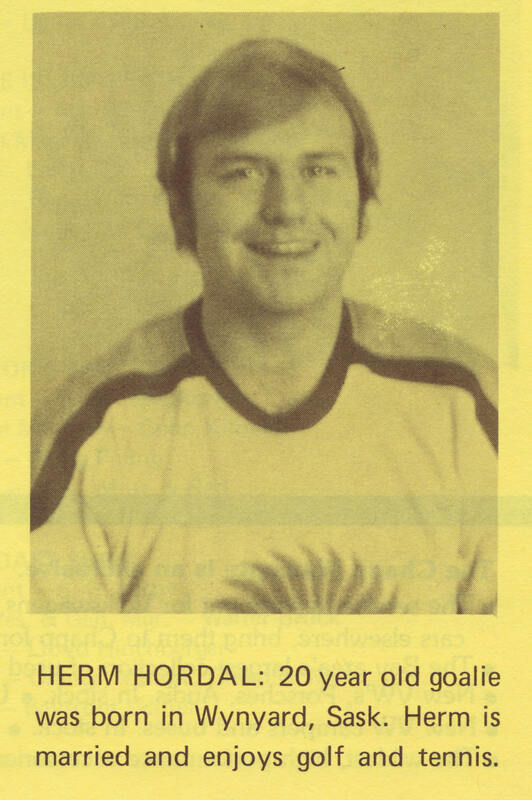 Backup goalie Herm Hordal from 1972-73 game program. 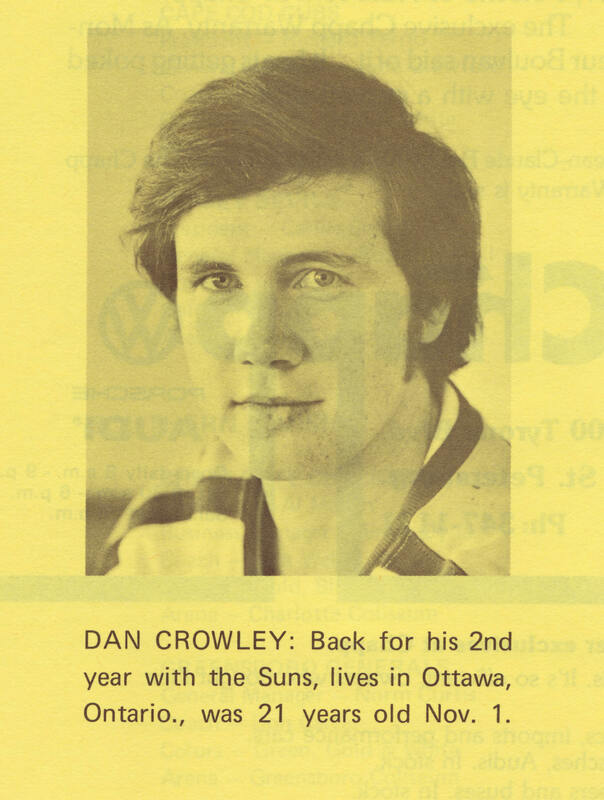 Scored 10 goals & 39 assists for 49 points in 1971-72 for the Suns. 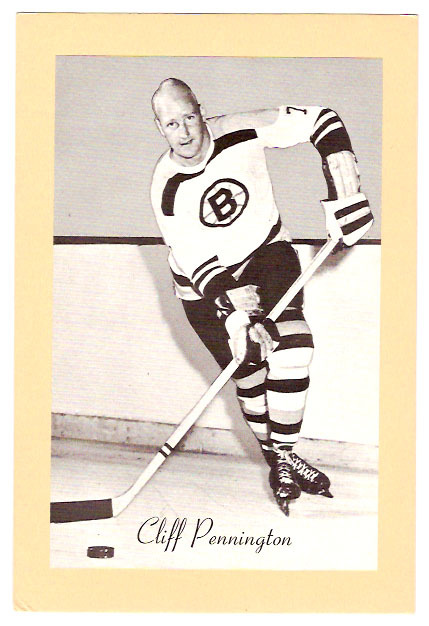 Ed also added 107 penalty minutes in his 63 games played that season. 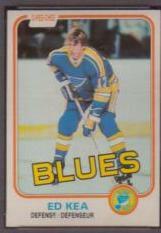 Ed later went on to play on the blueline for the Atlanta Flames & St. Louis Blues of the NHL. 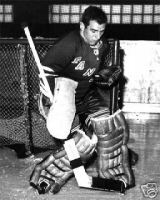 Goalie for 1960 Gold Medal US Olympic Team and later NY Rangers and Suncoast Suns. Another shot of third season goalie Jack McCartan. Jack was brought in towards the end to try to provide some leadership for the team. 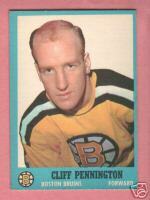 Shown as a rookie for the Boston Bruins. 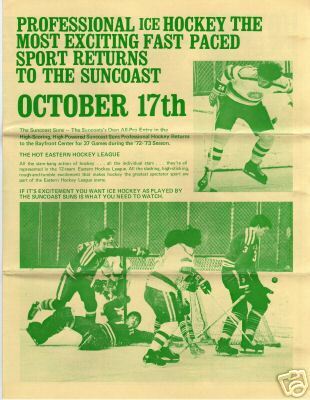 In 1971-72 Cliff scored 25 goals & 56 assists for 81 points for Jacksonville & Suncoast. 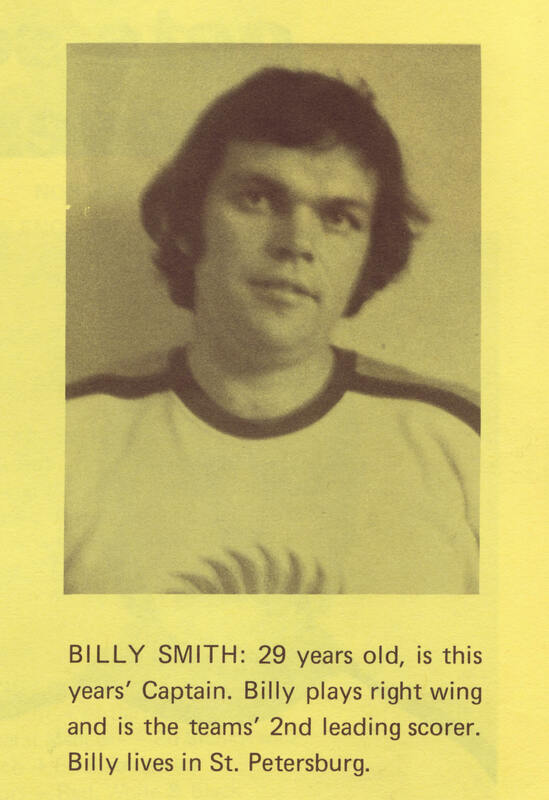 Scored 25 goals & 47 assists for 72 points in 48 games in the 1972-73 season. 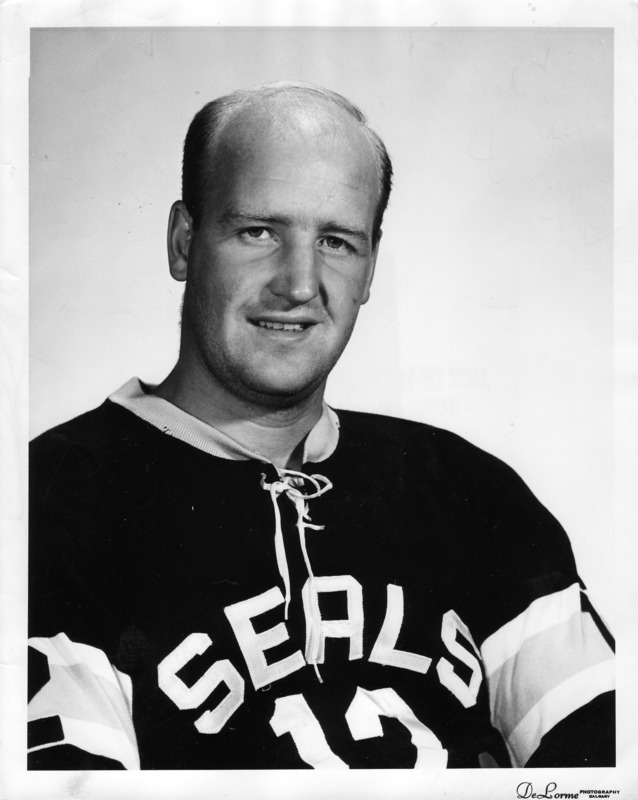 Here's a shot of Cliff as a member of the Western Hockey League's San Francisco Seals in 1963. 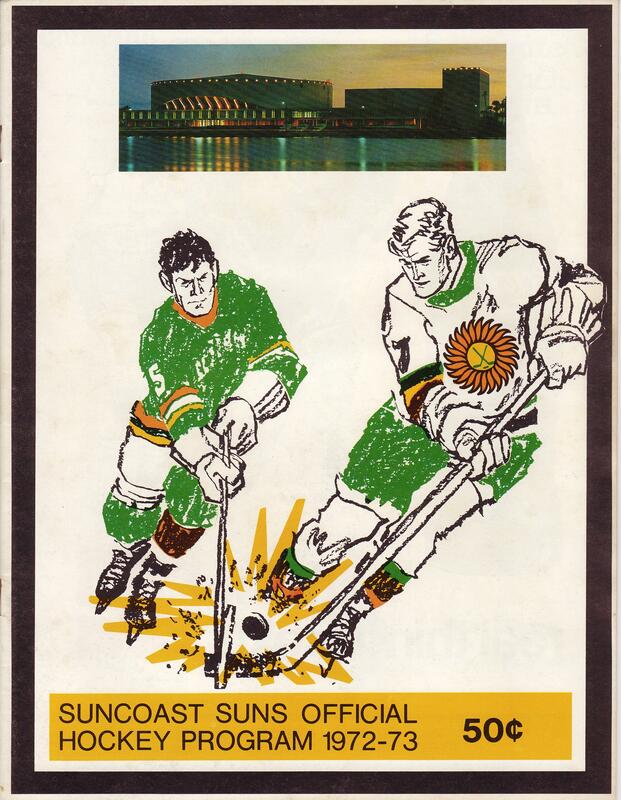 First season captain and league MVP led the expansion Suns to a respectable inaugural season. 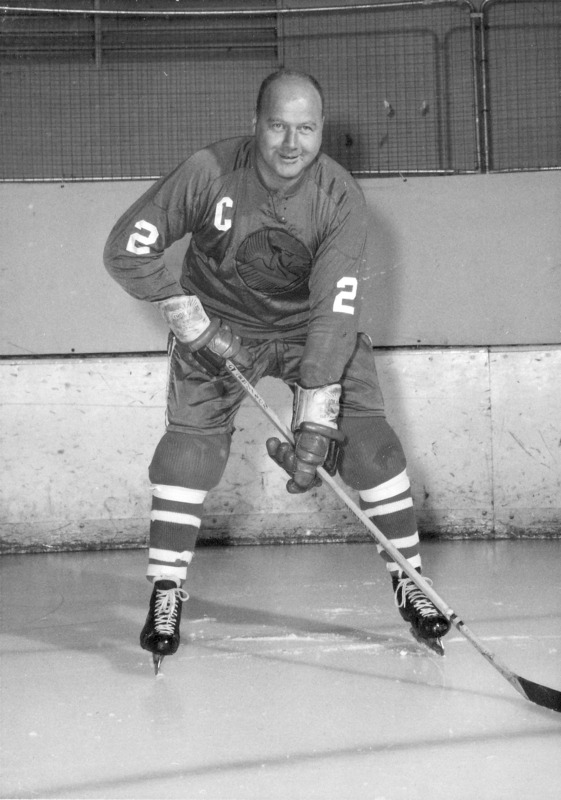 The Captain wearing his Suns road uniform. 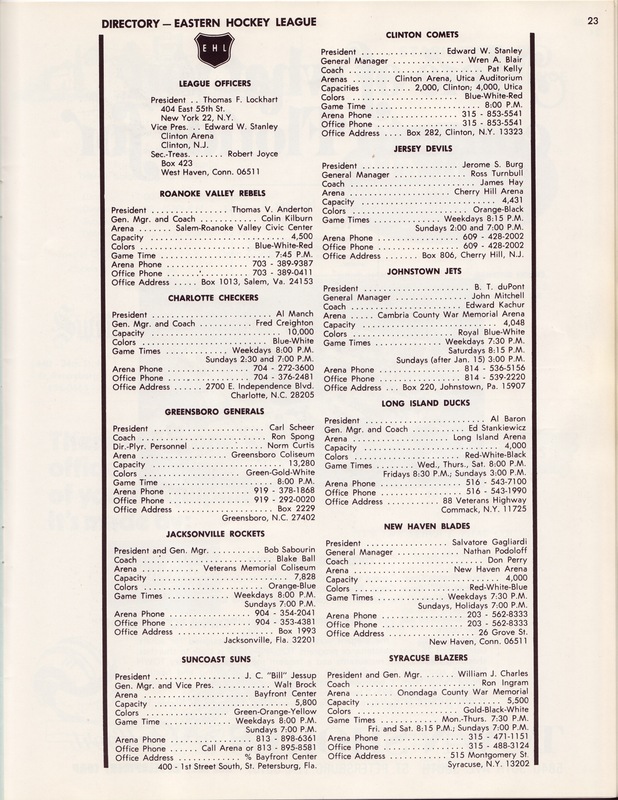 Shown here from a '72-'73 game program. The second season's captain put up big numbers with 30 goals & 40 assists for 70 points in 75 games. 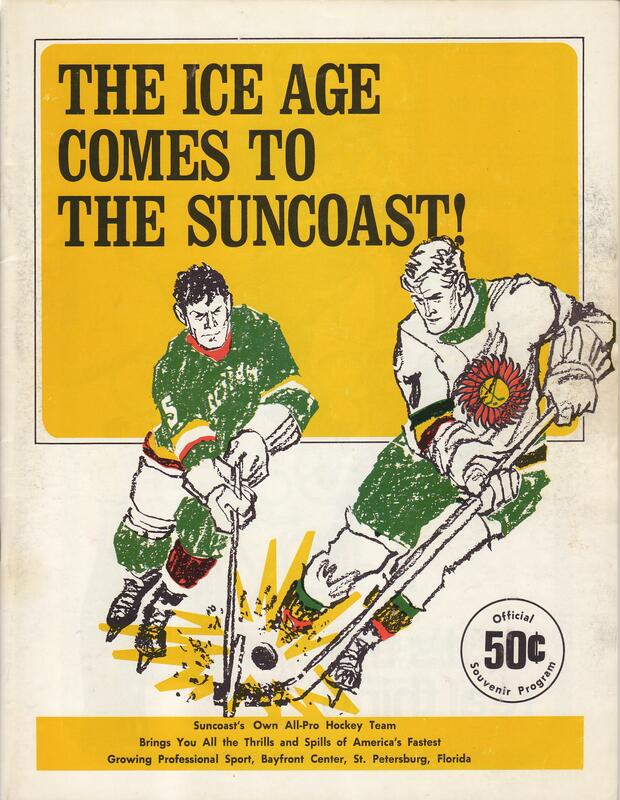 Suns 1971-72 Program Cover-The Ice Age Comes To The Suncoast! 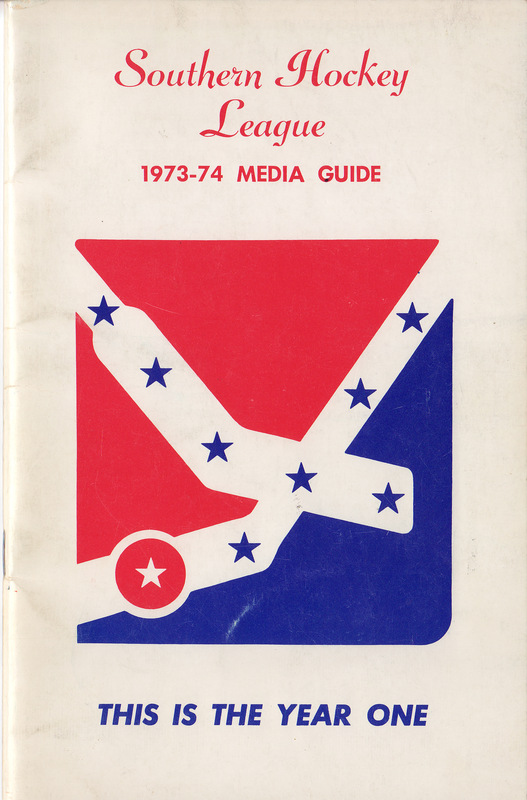 1971-72 Eastern Hockey League Directory. 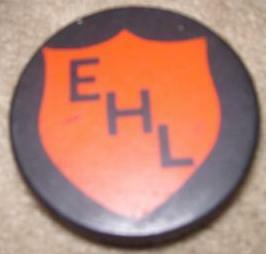 Eastern Hockey League shield on back side of puck. 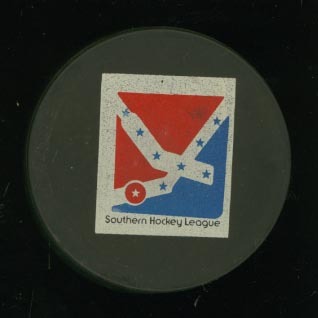 Southern Hockey League shield on back side of puck. 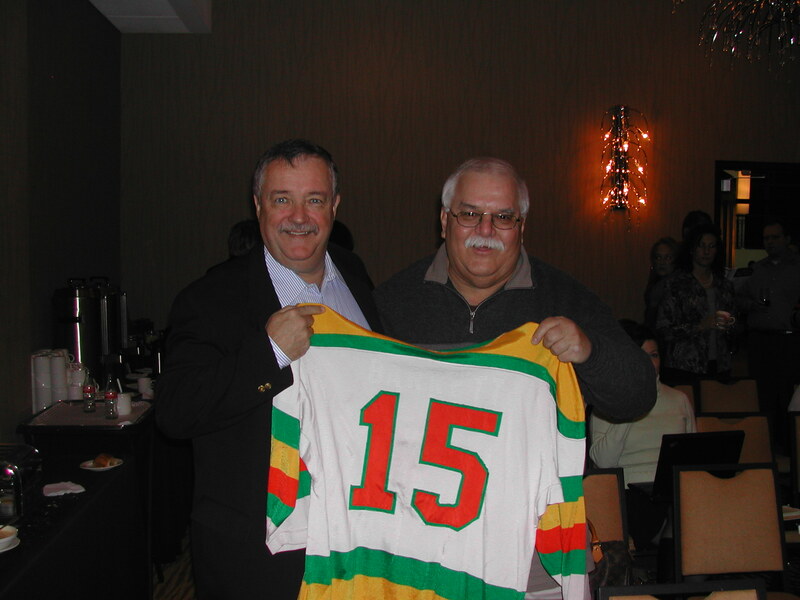 Bill Tedesco of Alberta, Canada is shown here holding Gregg Pilling's first season jersey and Al Barrett's second season jersey. If you look closely you can see the imprint of where Gregg's captain "C" was attached. 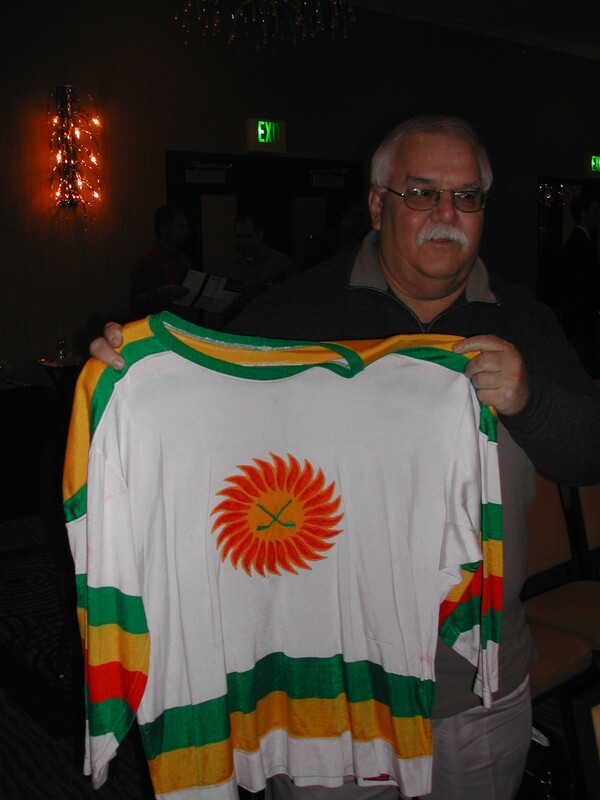 Here is the backside of the Pilling/Barrett jersey held by Bill Tedesco and jersey owner Bob Paine. If you look closely here you can make out the letters of Barrett's name. 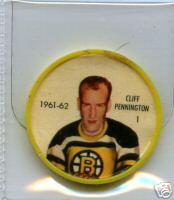 Pilling's name wouldn't have been attached to this jersey as the team didn't put names on jerseys the first season. Here is a picture of two former Suns players taken recently. 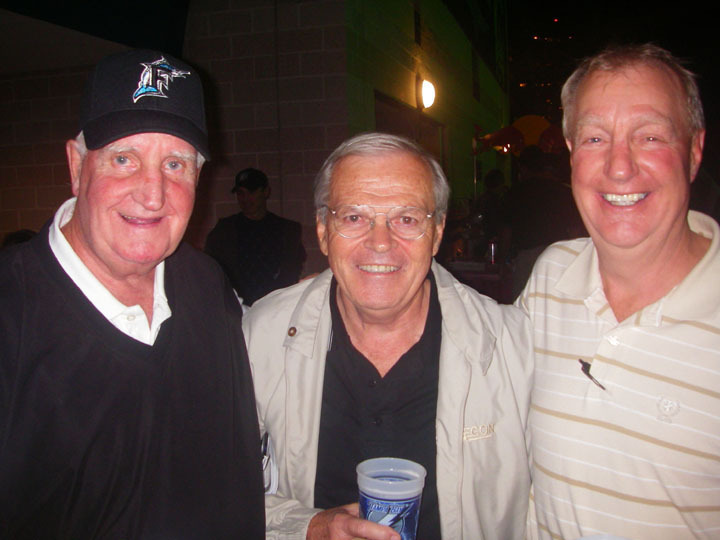 Shown left to right are Cliff Pennington, Billy Smith, and former EHL star Ed Hebert taken at a Tampa Bay Lightning game on December 6, 2007. Thanks to Ed Hebert for submitting this photo.